Welcome to the September update! 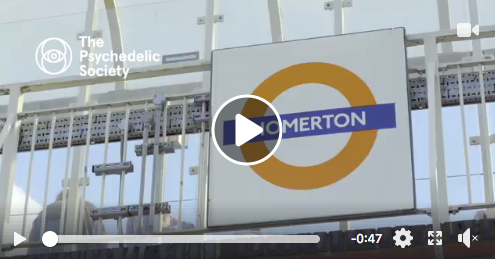 We are delighted to announce that the Psychedelic Society has a new home, the top floor of a beautiful warehouse right next to Homerton station. The grand opening of the space will take place from 2-6pm on Saturday 29th September, and you're invited! Come along to meet Psychedelic Society team members including Stephen Reid, Gaia Harvey Jackson, Alana Bloom, Anya Spelt, Claudia Zurawell Elliot and Lode Lhamo; learn more about our Experience Retreats and campaign plans; and experience tasters of some of the events we'll be running in the space. The new space represents a significant financial commitment for the Psychedelic Society. For it to work out, we really need to fulfil our goal of reaching 1,000 regular donors over the next few months. If you have experience in these areas and are interested in working with us, get in touch via enquiries@psychedelicsociety.org.uk.